There’s always a special fascination when an animal does something seemingly a little magical. Like producing light. I’d not seen glow worms for many years so decided to take a trip to Box Hill in Surrey with my little troop of wildlife enthusiasts to see if we could find some. We arrived in good time and took a walk up the hill to see what else we could spot. 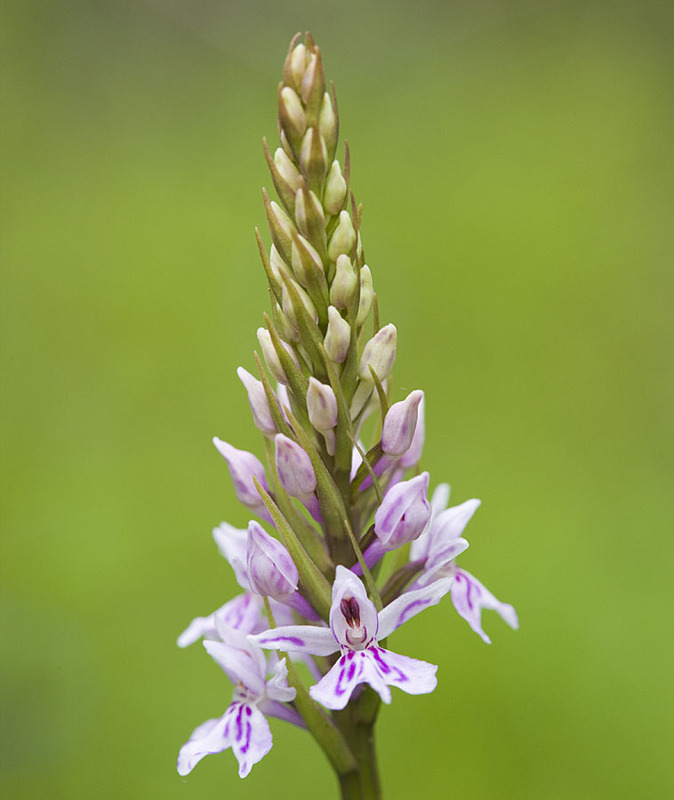 Naturally for chalk downland there were many orchids – common spotted, pyramidal, fragrant, bee and twayblade were all in flower. As darkness approached we reached the area were I had previously seen glow worms. We spread out and began searching in the twilight. After quite a while we had found none and I was beginning to think we might be unlucky. Or perhaps it was just that they wait for complete darkness – which finally happened soon after 10.00pm – as this was just when Andrea called out that she had found one. Excellent news. 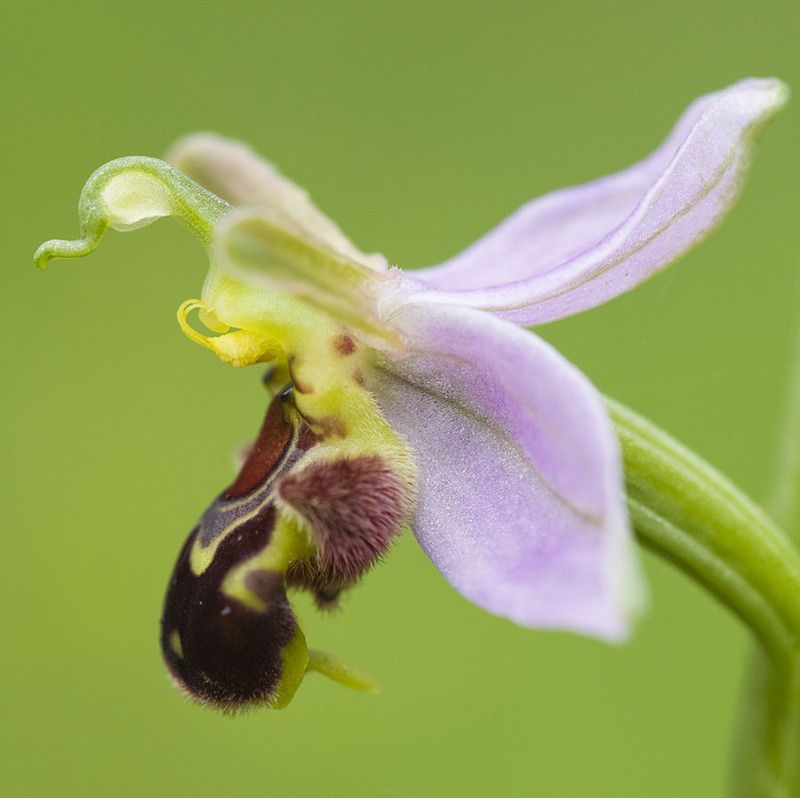 There it was, a female clinging to a blade of grass, busily glowing away. We didn’t want to ruin our night vision so just used the gentle glow from our mobile phones to provide a little light to see her by. 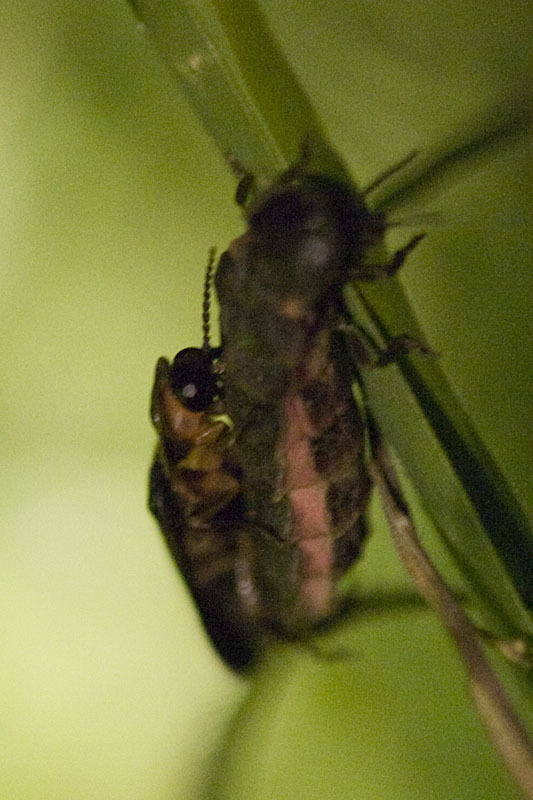 Glow worms are a member of the firefly group – actually neither worms nor flies but in fact beetles. 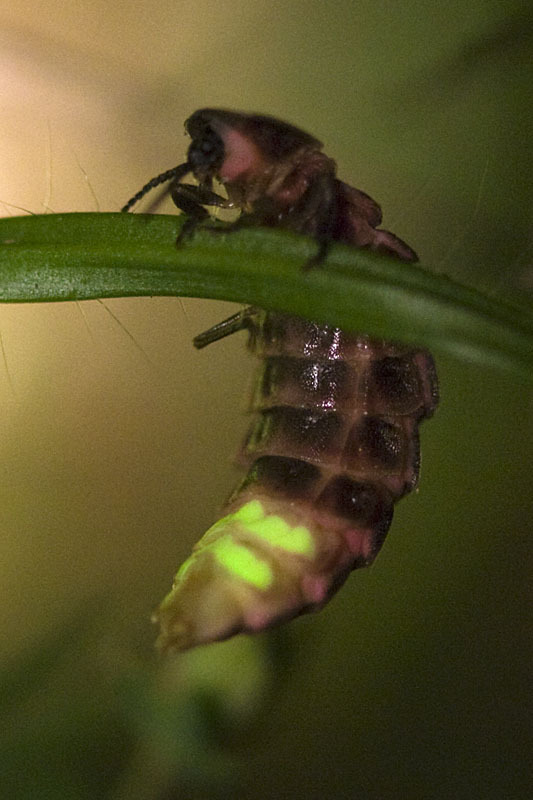 It’s the flightless female glow worms that sit and shine their light to attract a mate – the males have wings and look much more like a beetle should, but have limited glowing abilities. In many other fireflies (not found in Britain) the flying males glow strongly whilst on the wing and the female on the ground below flashes her light in reply so he can find her. After I had been looking at our find for a while, eagle eyed Andrea found another a few yards away. I now shone my torch on the first one to provide light for a photograph, and as I looked through the viewfinder I saw that her glowing had worked – a male had arrived and they proceeded to mate. The torchlight was just enough to get a photo, but the quality is not too good. She continued to glow whist they mated, though it’s not visible in the photo because she’s turned in the other direction. I then moved over to the other female to get some photos of her and someone said the male had left the first female. A little while later I noticed a male arrive to join the second female – was it the same one wasting no time? Certainly a busy night for the glow worms!